DETROIT - I had frankly forgotten that former President George H.W. Bush was the youngest American fighter pilot in World War II. It's far easier to remember the service of former Kansas Sen. Bob Dole. It’s been evident for years in the closed hand that strategically held a pen in an awkward grip. But the service of both men came to mind this week, one in his passing and one in the honoring of that passing. As the funeral for Bush ended, my news director, Kim Voet, and I wondered, "Will we ever see anything like this again?" Certainly, presidents will continue to die and they will always be honored in high American style. I have no doubt there will be veterans of foreign wars among them. 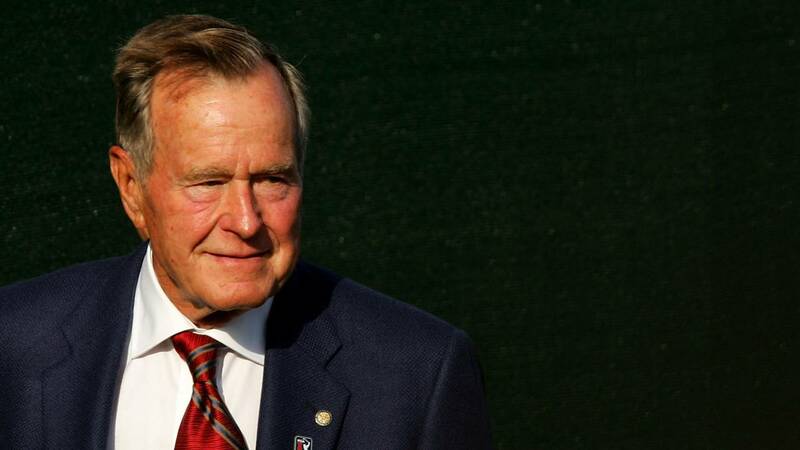 But I remain in awe of the way that Americans such as Bush, Dole and so many others were able to give all that was asked of them -- and then return to families, jobs, responsibilities and Sunday barbecues and fashion the America we enjoy today. When Tom Brokaw coined the term "The Greatest Generation," to be honest, I thought it was a little clunky. Visual alliteration didn't help it roll off my tongue, and I was slow to warm to it as a title (certainly not as an idea). But now that we’ve come to accept it as the standard identifier for the family of World War II soldiers, medics, volunteers and workers, it’s hard to imagine a better honorific. They’ve been rightly chronicled and celebrated, and while I should be gladdened at the way that terrible war is fading in the rearview mirror of time, we are losing our greatest at blinding speed. Every day, some 370 World War II veterans die, and we saw in everything, from the example of Bush 41’s life to Dole’s beautiful salute, that they take with them a sense of commitment, duty and grace that might be impossible to replace. I am so grateful to have lived a life that has not asked me or my children to leave civilian life to storm a beach in northern France or fire a machine gun through the jungles of New Guinea in a world gone mad. But fighting for sanity in that mad world forged a legion of Americans upon whom we have long relied to guide us to peace and prosperity in the halls of Washington and state capitols across the country. So with the passing of the last president of that generation -- former President Jimmy Carter graduated from the Naval Academy the year after the war ended -- no, we won’t see the likes of them again. Take a moment to offer your own quiet salute, not just to Bush, but to Dole and the rest of the greatest generation.